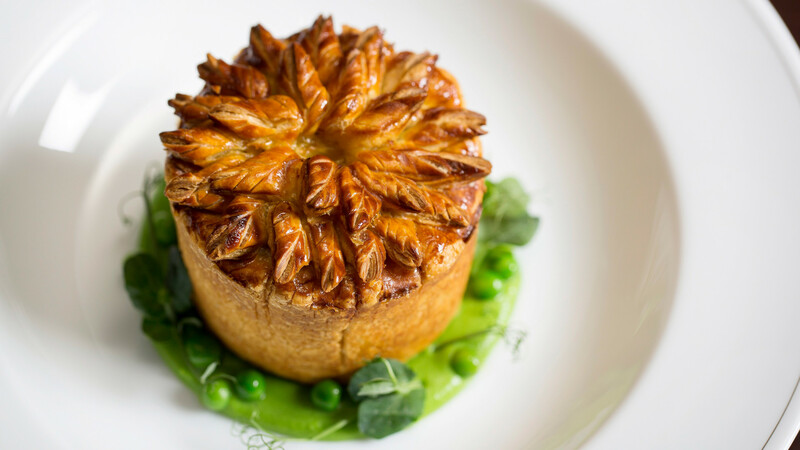 Calum Franklin has made a name for himself with his focus on classic British dishes, none more so than his beautiful pies. Way back in 1936 – before the Second World War, the colour television, the mobile phone and the dawn of the rockstar chef – a German philosopher called Walter Benjamin said that the infinitely printable artform of photography made the world easier to explore and understand, but fundamentally painted everything in a duller light. But he never met Calum Franklin. 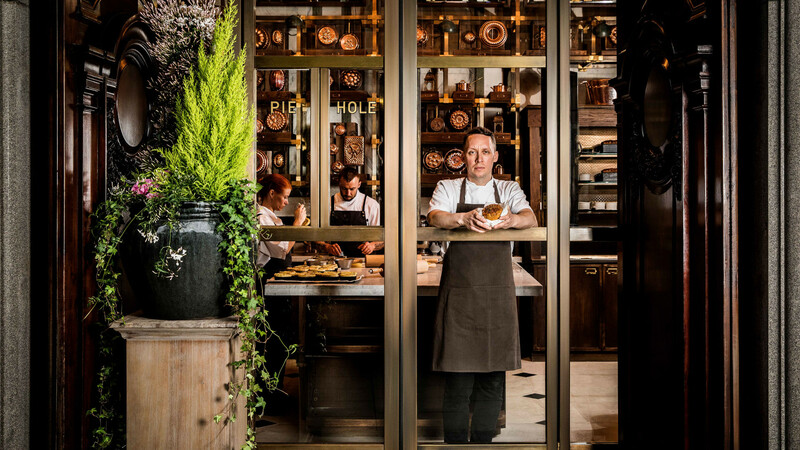 With more than 80,000 followers on Instagram, Holborn Dining Room's executive chef has demonstrated the power of food photography to unite, enthuse and – more so than anything else – brighten the overall experience of eating. His medium? Swoon-worthy pictures of pies. 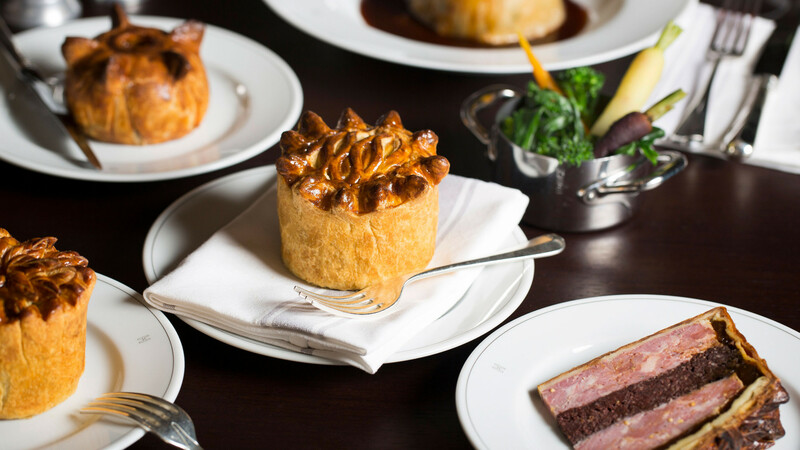 "You really see the power of Instagram when people come into the restaurant from abroad to talk about our pies," says Franklin, sitting at the marble counter of the Pie Room at Holborn Dining Room. "A guest came in from Australia just to try one earlier today – it actually happens quite a lot." But it doesn't stop there: when Franklin runs a pie-making masterclass, tickets fly out the door, with a fair few going to pie lovers who are prepared to fly into the country specifically to learn from the man himself. In his own words, it's all "a little bit insane". 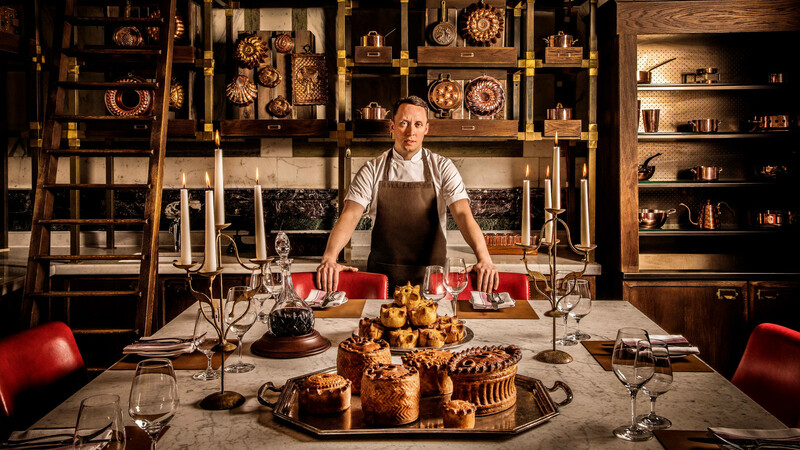 Franklin's Instagram profile – a grid of pies, wellingtons, pâté en croûtes and other non-pastry-covered plates of goodness on offer at Rosewood London's Holborn Dining Room – is like an extension of what you see on the plate in the restaurant. Behind every gorgeous slice of gala pie or duck and pistachio en croûte served, there's a long photographic history of recipe tinkering, a gorgeously intricate loaf-sized pie and – if you're lucky – a glorious video of the first slice shared for all to see on social media. In his own words, it's all "a little bit insane"
For a lot of restaurants, this kind of standing on social media might require an ever-changing list of specials to keep things fresh, but Franklin feels no such pressure to innovate – some of their recipes having taken upwards of six months to perfect: "Instagram's an incredible tool for communicating what you're doing in a restaurant, but we've never designed anything or created anything to fit in with social media: we've always stuck to our guns. What you're seeing online is exactly what you're seeing in the restaurant." And what you're seeing in this restaurant is probably what you'll be seeing in many more across the country in the coming years. For every DM or comment he gets from a pie-loving punter, Franklin gets another from a chef trying to emulate the old-school style of cooking he's breathing fresh life into. "For me, the positive thing about Instagram is seeing other chefs taking on the work we're doing," he says, "I'm very open about the processes we use to get to the final product: I'll show photos of first attempts, second attempts and third attempts so that people don't find it as daunting to start out as I did. 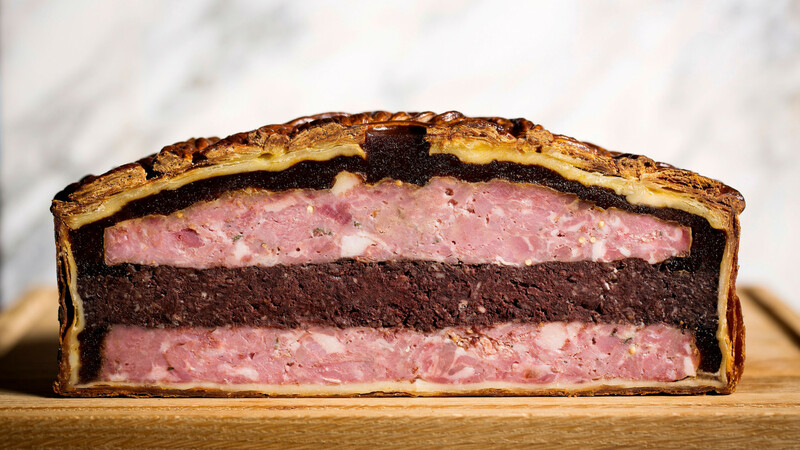 That means that almost every day now I have chefs hammering me online with pictures of pâté en croûte, asking me where we get our pie moulds or just wanting tips: that really makes me happy." 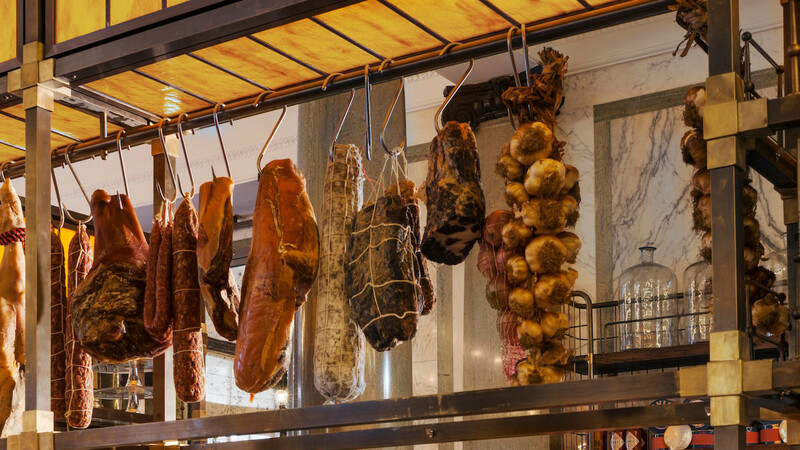 What Franklin is overseeing – however quietly – is a revival of an archaic style of cooking that was probably nearing extinction in the UK. 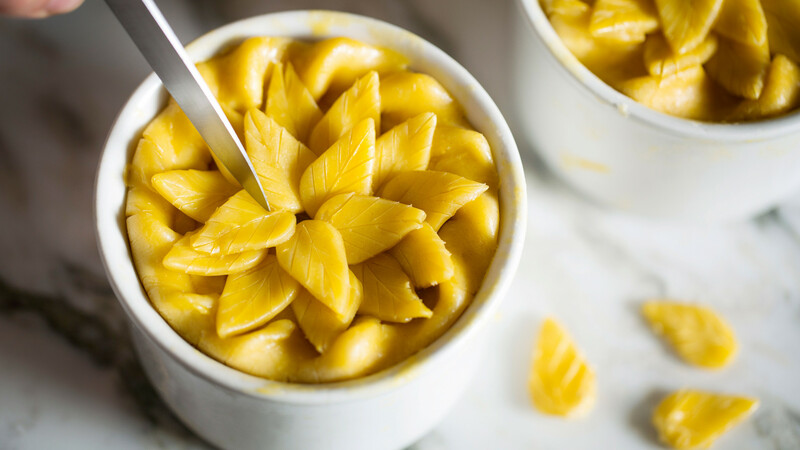 When he found a bunch of tarnished tins in the Rosewood's basement about three years ago, he knew they were for making savoury pastry, but didn't know how to use them. His 30-strong team of chefs had no idea either, so he set off on a mission to uncover some old recipes and make something authentic with the kit that used to be used in the century-old kitchen long before his time as exec chef there. 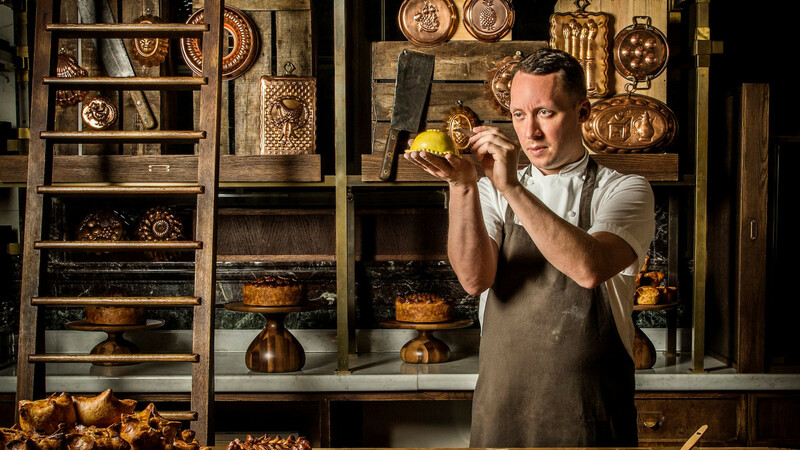 "These old, traditional techniques are getting forgotten, and potentially could completely disappear if a generation skips learning them," says Franklin, gesturing to the now-glistening pie moulds that adorn the shelves of the Pie Room. "For me, it became a matter of importance to teach myself, then all of the chefs in my team, these skills: because then it just spreads from there – they'll teach their teams when they're a head chef." 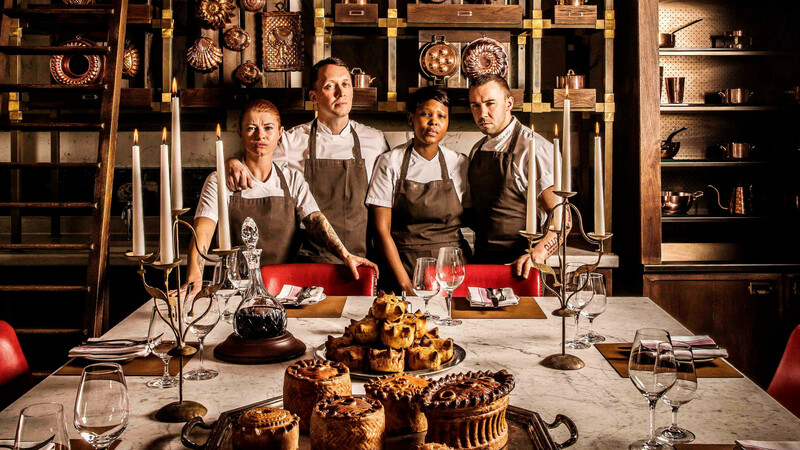 In fact, HDR's Pie Room is just that: a kitchen that transplants the creative (read: messy and space-consuming) pastry work from the main kitchen, while upskilling promising chefs and ensuring heritage recipes continue to find their way onto restaurant menus. His chefs are now rotating through the Pie Room for six months at a time, trading the demanding aspects of a high-pressure kitchen for the ornate confines and jazz music of the Pie Room, and Franklin hopes that it'll have a positive effect on mental health in the kitchen. 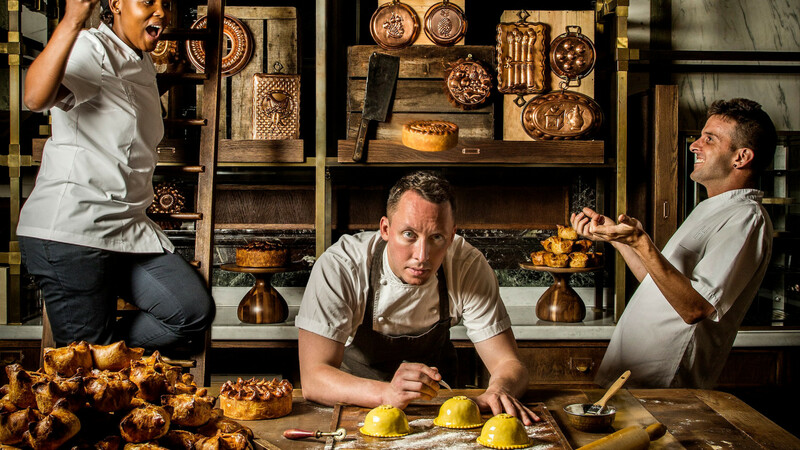 These chefs, plus the thousands of food lovers who follow him on Instagram, are what's helping him capture the imaginations of London foodies with fine-tuned versions of the humble pie. The bulk of his following being British helps too, of course: "Pies are part of our family table history as a country. They evoke nice childhood memories, and people are quite nostalgic about them. There's no snobbery about it, either – you can have a rich, decadent pie, or you can have a very simple one, and they're equally as pleasing." 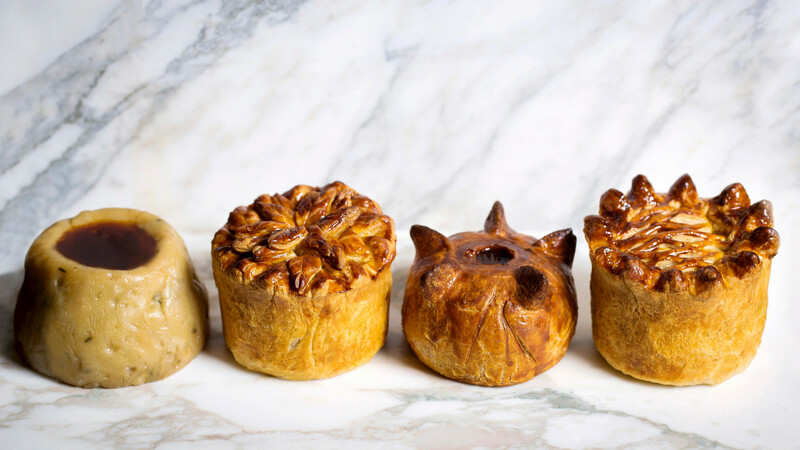 And while Franklin's pies are a damn sight more ambitious than the standard supermarket iteration you'll find on kitchen tables across the country, he feels there's scope for big things in a more grassroots way in the coming years: London's pie shops. Having fallen out of fashion (and increasingly out of business) in the last two decades thanks to high business rates and low margins, pie and mash shops seem to be in terminal decline, halving in number across the city. But, with a little love, Franklin hopes they could make a comeback: "They're part of our history as a city, and I think it's really sad that they're falling by the wayside. I think we might see a revival of the pie shop with better ingredients and a slightly higher price point, but built to survive in the current market. It's a horrible way of looking at it, but it has to happen for those businesses to survive. It needs to – it's part of our heritage." lemon curd slice. All very British indeed. "The reputation of British food matters to me," Franklin adds, "It's something that's looked down on across the world, and it shouldn't be. People quite often say British food is just boring stews and things coated in brown sauces, but I cooked a stew the other day to remind myself they're not. Some British dishes aren't much to look at, but there are so many different levels of flavour in them, and there's nothing wrong with that." This love of British food no doubt springs in part from his upbringing, but also comes from the series of restaurants he's worked at. He traded his first job in the "tough kitchen" and "great training ground" of Chapter One in Kent for the classic British cooking of The Ivy, before jumping back into fine dining at Aurora at The Great Eastern hotel, and then One Aldwych. After that, he joined Roast in Borough Market, where he set himself on the path to cooking the food he really wanted to cook, British comfort food rather than a modern, overtly gastronomic version of fine dining: "As a young chef, you're told that's the be-all and end-all of cooking, the pinnacle. But that attitude's changed in the last ten years, and you can see that through the rise of casual dining all over the city." 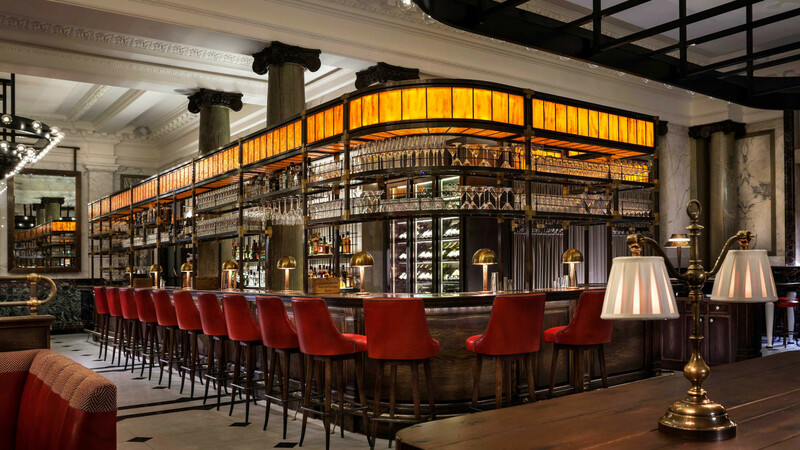 According to Franklin, nothing on Holborn Dining Room's menu epitomises that attitude more than the fish finger sandwich: "putting that on the menu was when I finally broke off the chains of fine dining and stopped being worried about what other chefs think about you and your food. From that point all I cared about was making people happy in a restaurant, and I knew that this would. A well-made fish finger sandwich will put a smile on the face of a stressed-out lawyer or a businessperson, they get to sit there and eat something from their childhood – and that's more important to me than what people think of what we're doing here." That sentiment rings true each Wednesday evening with the restaurant's #WellyWednesday night. 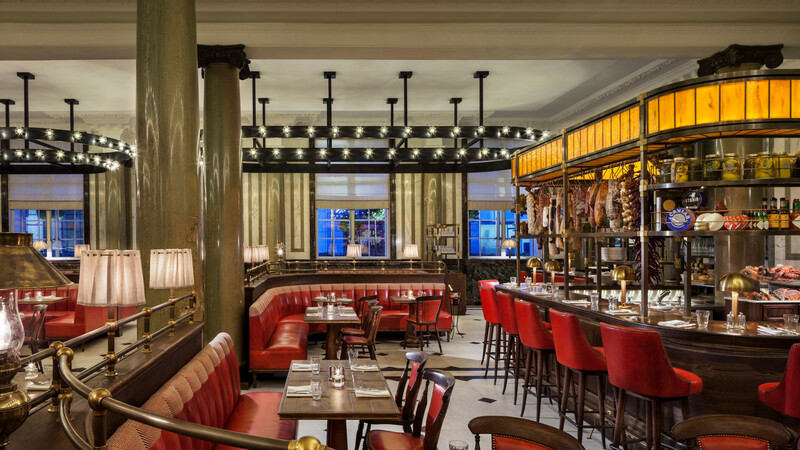 As well as being the only time the self-professed pastry deviant puts beef Wellington on the menu, it's also the busiest night of the week – weekends included. The catch? The Welly makes a loss every time it's sold. "We might lose money as a restaurant", says Franklin, "but it affords more opportunity to people that might not have been able to afford it somewhere else. It's one of those dishes that we should be proudest of as a nation when it's done properly, so we treat it with the respect it deserves." 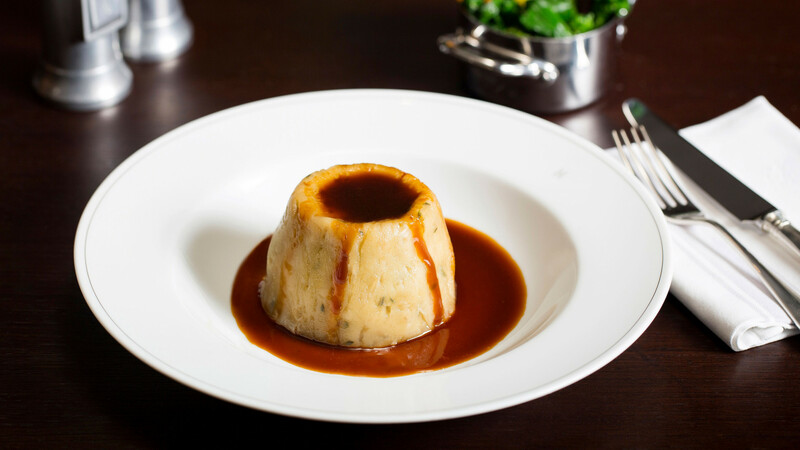 And that sums up Franklin's kind of cooking perfectly: it's nostalgic, it's generous, it's respectful, it's British and – more often than not – it comes wrapped in a delicious layer of pastry. And as his Instagram feed can attest, it has never looked better.